Starring: LEONARDO DICAPRIO, JENNIFER CONNELLY, DJIMON HOUNSOU, KAGISO KUYPERS, ARNOLD VOSLOO, ANTHONY COLEMAN and more!! Sold only in Japanese cinema’s during the film’s original theater run in 2007! A MUST for any JENNIFER CONNELLY/LEONARDO DICAPRIO collector or fan of this film! 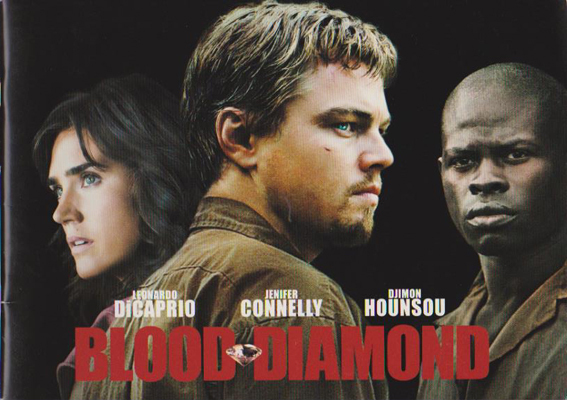 Click the button below to add the BLOOD DIAMOND JAPAN Movie Program LEONARDO DICAPRIO/JENNIFER CONNELLY to your wish list.